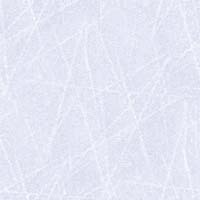 Find a Coach - Choosing the right coach is the first and perhaps most important step in your child's figure skating development. When making that selection consider that, in addition to their teaching and coaching abilities, the coach will also be a role model. As the coach will spend a significant amount of time with your child, this must be a positive experience. Once you have chosen the right coach for your child, show your support. Get to know your coach and understand what he or she expects from both you and your child. The best results happen when the skater, coach and parents work together as a team. However, remember to let the coach do the coaching. They are the experts when it comes to figure skating. In addition to the professional coaches on the group sessions, we have a number of program assistants who attend instruction courses. They help out on our programs and wear their "The Point" club coats. The Program Assistants are older, accomplished skaters at the club who volunteer their time to assist the younger skaters. They share their love and knowledge of skating while performing various duties. The Point Edward Skating Cub appreciates the hard work of all our Program Assistants and considers them a great asset to our group sessions. Our club offers a wide range of coaches to enhance your child's progress. Many are Level 3 Certified. Coaches are available to teach private lessons and group sessions. Private lessons may be schedules on the Canskate and STARSkate (Pre-Preliminary) sessions as well at the Private Ice Sessions. Sonia Rivard, our Head Coach, is always happy to answer any questions or concerns that you may have.